Want to customize an order? We can put any short text or logo on nearly any product in the warehouse. All we need is a medium-to-high-resolution image*, or a written copy of the text to be added. Ask for a sales rep who specializes in customization. Laser etching is by far the most popular of our methods, as it is inexpensive and many times faster than any other customization. 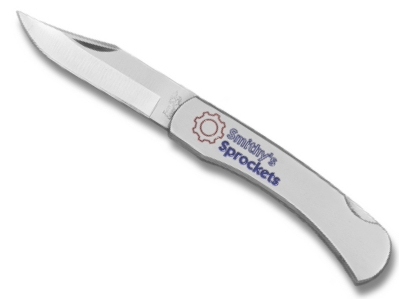 The image may be placed on any non-ceramic blade, stainless steel handles, or metallic bolsters. *Waived on laser etching orders of 72 or more. 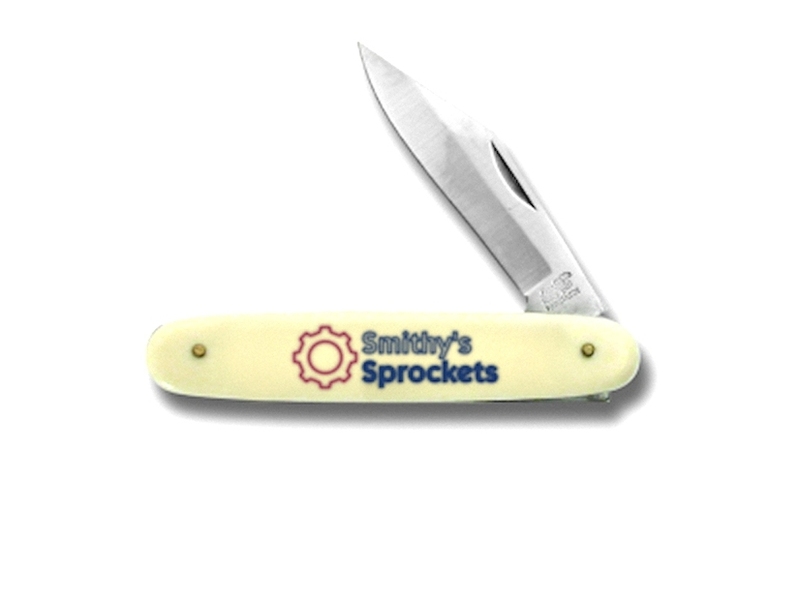 **Price is per location on the knife (ie. blade, handle, and bolster). Deep etching allows the image being >applied to be colored using an oil-based glossy enamel. Turnaround is much slower than laser etching, but the results are quite stunning. Deep etching can only be performed on metallic surfaces. 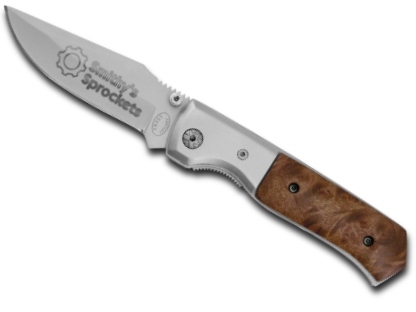 *Price is per location on the knife (ie. blade, handle, and bolster). Pad printing can be used to apply a multi-colored image on a non-metallic surface... usually a smoothbone or composite handle.